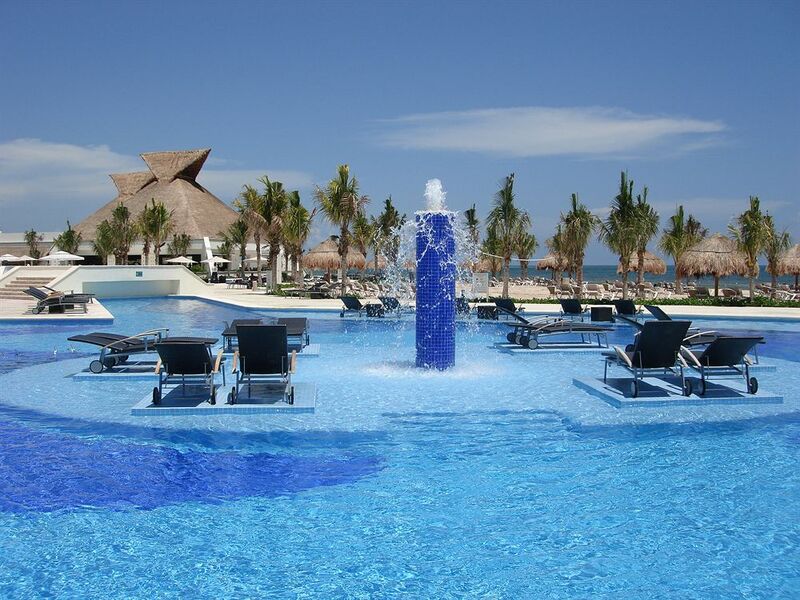 40 minutes south Cancun International Airport and 10 minute north Playa del Carmen lies Blue Diamond Luxury Boutique Hotel, the first high-end resort from BlueBay Group. The exclusive Blue Diamond Luxury Boutique Hotel, Adults Only, All Suites, A la Carte Luxury, Wellness & Spa Resort, reflects the new upscale trends in the destination providing the utmost in personal attention with special touches, innovative design with oriental details, time to experience life and its pleasure in 36 acres of lush tropical jungle, well manicured gardens and a spectacular palm filled white sandy beaches along the turquoise - colored Caribbean Sea, offering unparalleled pampering and rejuvenation. 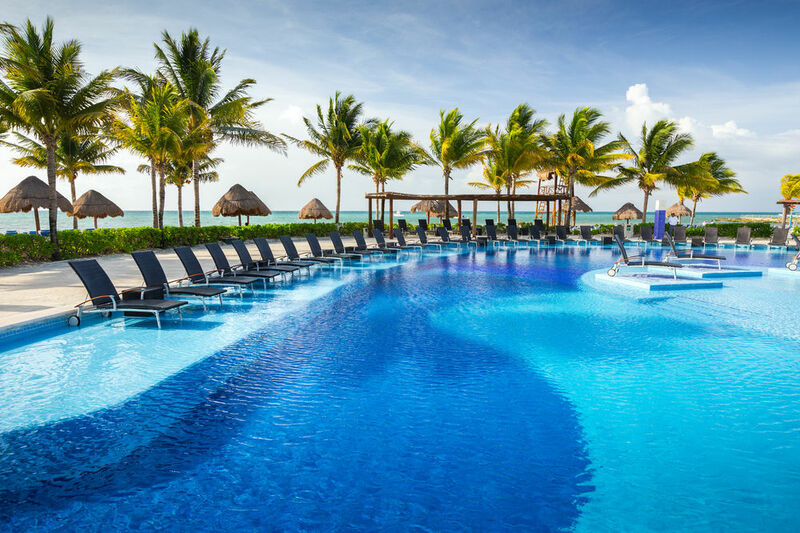 Built along peaceful river waterways, a mystical Mayan Cenote and the Mexican Caribbean Sea, Blue Diamond Luxury Boutique Hotel offers 128 luxurious junior suites and suites in this piece of paradise. The resort suites are a perfect mix of limestone, wood, luxury amenities fused in harmony with this natural sanctuary; each suite feature a unique characteristic to choose from: spectacular beach front casitas; private docks, ocean view roof top terraces with sun chairs, roof top infinity pools, private pools and more. 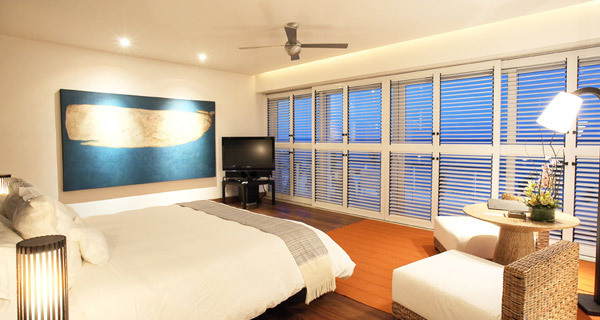 Each suite features floor-to-ceiling windows, CD players and DVD players; rooms open to spacious balconies or terraces. Beds feature premium bedding. Plasma flat screen TVs come with premium cable channels. Bathrooms include separate marble bathtubs and showers, bathrobes, slippers and makeup/shaving mirrors. Rooms are equipped with wireless Internet access, business friendly amenities including work desk and multi-line phones and voice mail. 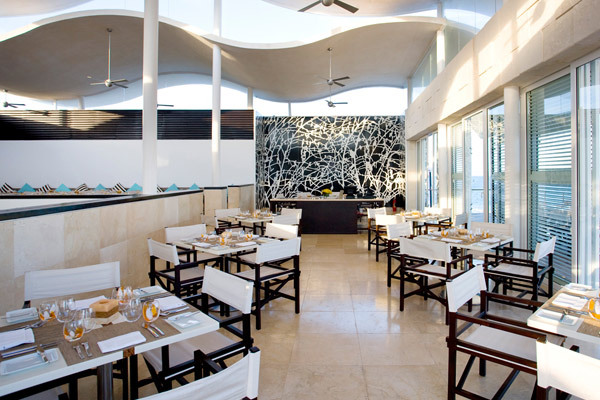 The Restaurants at the Blue Diamond Luxury Boutique Hotel reflects an exclusive, serene atmosphere, indoor or al fresco, from casual to elegant chic ambience, for an all day-dining experience. Bars and Lounges are the perfect place to savor your preferred cocktail or meet with new people, from stunning ocean view locations, chic roof top bars and café lounges. 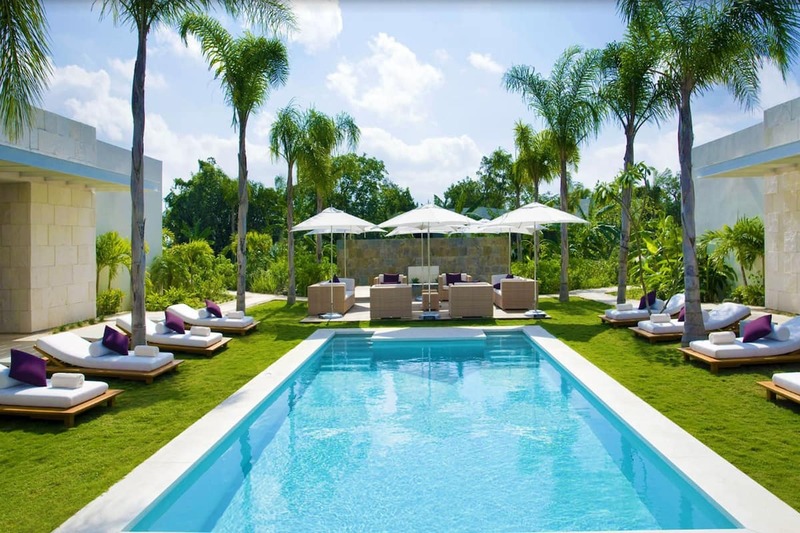 25,000 sq a of Spa facilities, providing a unique atmosphere combining cutting-edge services and customized techniques incorporating Mayan philosophy with Asian-healing results for immediate relief from everyday tensions coupled with a wonderful unique experience of peace and well being. 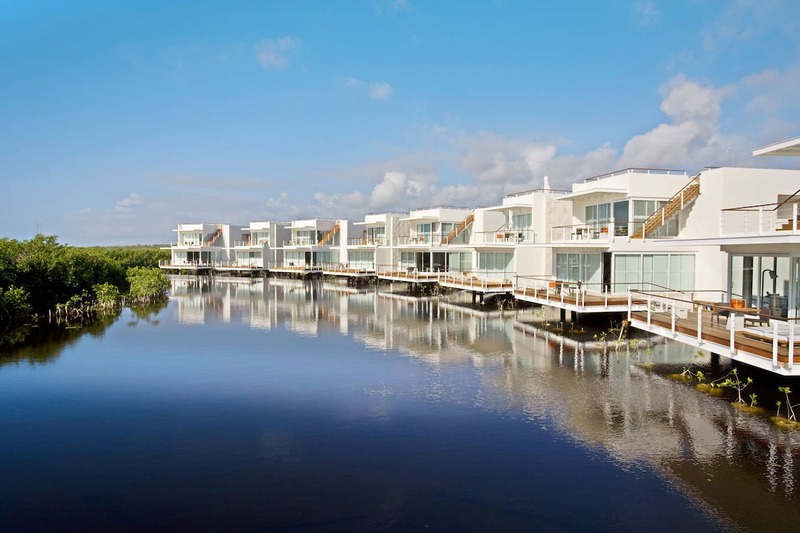 Guests from Blue Diamond Luxury Boutique Hotel will discover a paradise built along peaceful river waterways, a mystical Mayan Cenote and the Mexican Caribbean Sea specifically designed and created for their needs, wants and desires. 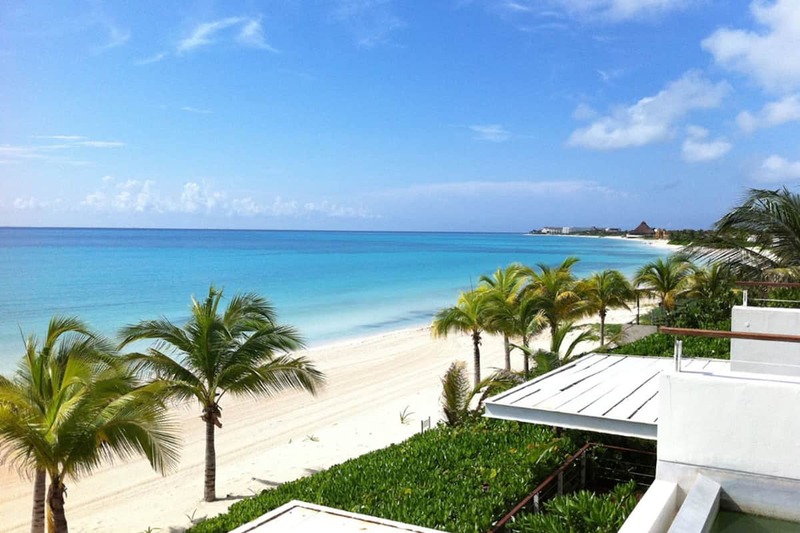 Each area of this luxury resort in Mexico is intimate, luxurious and inspiring. 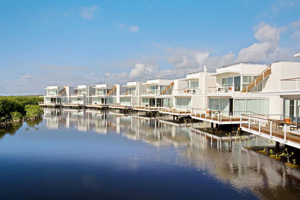 Endless opportunity for play surrounds the Blue Diamond Luxury Boutique Hotel. Discover the best of the Caribbean with onsite activities that include wine tastings, Spanish lessons and snorkeling excursions just moments away. Embark on a kayaking adventure or tee off and test your swing on our 18-hole championship golf course, where the green field on the horizon blends with turquoise waters. From intimate romantic escapes to exploits of exploration, your Mexico journey invites discovery and wonder at every turn. 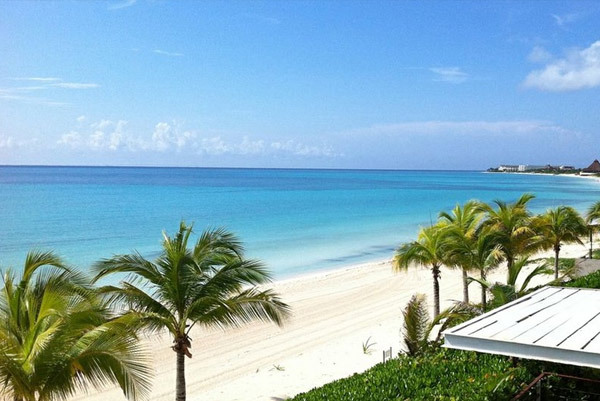 See what awaits you just around the corner in this tranquil paradise, perched along the edge of the world. 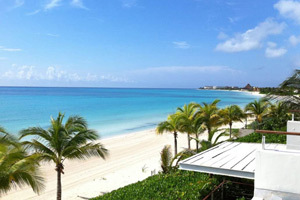 Blue Diamond Luxury Boutique Hotel offers 128 luxurious junior suites and suites. 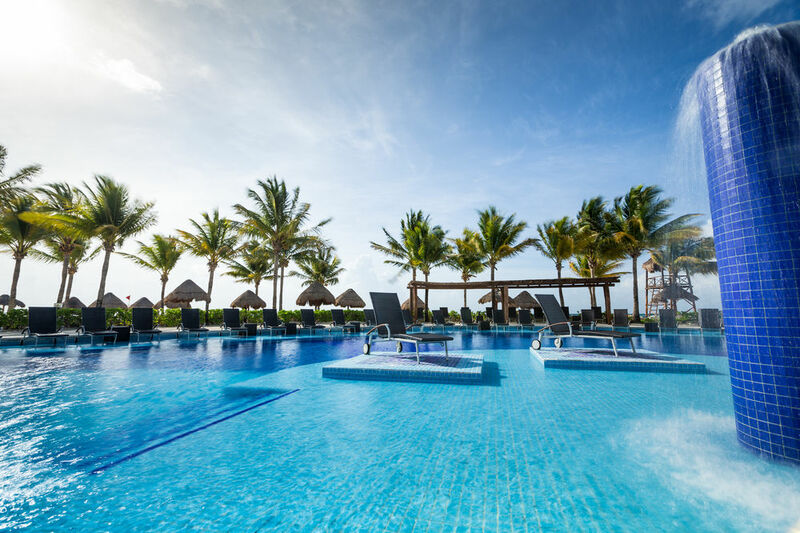 Reflecting the new upscale trends in Riviera Maya, our five-star, adults-only resort provides the utmost in personal attention, with special touches and innovative designs at every turn. Dine on delectable cuisine, explore beyond your boundaries, or simply soak up the sun’s rays amid the cool Caribbean breeze. Here, your every need is attended to with A la Carte Luxury amenities that entice, inspire and restore balance. Retreat to Blue Diamond Luxury Boutique Hotel and engage in a sensory exploration of luxury that starts with paramount care and service.